This post is brought to you by NatureBox! Snacking is one of those things that seems so simple. If you’re hungry, eat! Some people snack all day long; others (like my dad) never snack. I rarely find myself hungry between breakfast and lunch (assuming I have a sizeable breakfast) but I almost always need something to get me to dinner. Most often I blame the longer gap between afternoon meals. Snacks sound so cute and small, but they can also innocently spoil meals and thicken waistlines. Below are some tips for smart snacking to help you navigate the path of hunger. 1) Balance out your day. Often I ask myself: “What I have already eaten today, and what could I use more of?” If I had yogurt for breakfast I try to think of another snack – fresh fruit and nuts perhaps. If I had bread at lunch I don’t choose toast for a snack. If I haven’t had any veggies yet I might make a green smoothie. Or if my day is lacking in dairy I’ll create a yogurt + granola bowl. 2) Eat real food. Duh, right? But snacks made of real food and healthier ingredients are going to most likely leave you feeling more satisfied than the more processed alternatives, especially if you keep calories equal. Think of the volumetrics concept of eating – fresh foods take up more space in your stomach. A bowl of blueberries mixed with maple almonds is likely to fill you up more than a can of soda and some crackers. Think fresh fruit, plain dairy, trail mixes, veggies in dip, whole grains, bars with ingredients you can pronounce, etc. 3) Pair carbohydrates, protein and fats together. The more of these three macronutrients you include, the more satisfied you are likely to feel. Carbohydrates give you energy, and protein and fat increase satiety. A snack that blends the three will easily get you to dinner. Think small smoothies with banana, milk, peanut butter or a trail mix made with dried fruit and nuts. 4) Start small. It is easy, however, to get carried away and keep adding ingredients to snacks. Listen to your hunger and ask yourself how much you really need. Unless you’re a mini-meal eater, the point of a snack is just to tide you over, so start small and add only if you feel you need more. I have spoiled my appetite for dinner way too many times because I got too excited about my snack creation. Thus I am working on snacking conservatively. 5) Keep good stock and plan ahead. Building on the “start small” thought, you’ll do better keeping snacks in check if you have options available and predict your hunger and snack behavior as best you can. Knowing I am always hungry around 4, I try not to let myself get too hungry and wait until 4:30 or 5 or I tend to overeat my snack. That almost always kills dinner. More about my experience with NatureBox can be found in this post! This post is sponsored by NatureBox. With the code KERF10, you can also get $10 off your first box. Great post! I never really thought about using snacks to supplement what you might be lacking nutritionally through meals…DER! My husband’s grandma used to call snacks “noodies” aka “goodies” you nibble on. Great tips! Sometimes I have a difficult time with the carbs. I love toast (with PB & jam) and cereal as snacks, and I know I overdo it at times. Great ideas! I like your ideas of pairing certain types of foods together – I’ve tried it in the past and it really does work well! A nice fresh perspective on snacking. I never seem to think about it much. I usually wait until I’m desperate to snack and then end up chowing down on whatever I first lay my hands on. This isn’t a very good approach. I need to improve my tactics. i definitely need an am & pm snack most days. when i’m not working, this is easy. but when the school year starts up again, it takes some planning to make sure i have enough fuel to get me through the day! I can admit that at times I am an over-snacker. Love these tips! Great tips, Kath! I also find that a lot of times when I’m snacking I’m just bored, and drinking a big glass of water before munching away can help (I especially like cucumber-strawberry water for some flavor!). And while I agree with you to not overestimate your hunger when it comes to snacking, sometimes if I know I’m really hungry and only “give myself” a small snack, then that snack turns into 3 or 4 small snacks, when I should have just started with one bigger one! So I think the message is just be realistic/ honest about how hungry you are! Love this post and I do love to snack. If only Nature Box delivered to Canada! I love snacks (hence my blog name). I could snack all day long if I let myself, but I try to bulk up my meals a little bit so I don’t get too snacky. I usually have a morning snack, an afternoon snack, and sometimes an after dinner snack if I’ll be up late studying! This post made me realize how bad my daily snack has been and why I was not satisfied with. As caring for a new born baby now, I was snacking whatever available, which means typical junk foods/processed foods. From today I will work on much healthier snack like you suggested. Thank you. This is pretty much the approach I use! I try to use snacks to balance out my day (I don’t really believe in “balanced meals”). For me, planning is key–otherwise I resort to the convenient. Funny you can make it to lunch but not dinner. I can never go till lunch without snacking. By 10 or so I am ravenous. And I swear I eat a good, filling breakfast. Normally though I am good to go from lunch to dinner even with a longer break. Snacks are one of those things that can bring many of us into a dangerous territory. I grew up eating large snacks after school to get me through hours of sports practice. When I got to college and was still eating large snacks in the afternoon even when I wasn’t hungry, I inevitably gained some weight. Learning to listen to how my body is feeling in the moment and choosing whole, nutritious foods has turned my bad snacking habits around! One thing I’ve noticed (and maybe you’ve mentioned this) is that you dole out your snacks into little containers to eat. I often eat right out of the bag/box so I can eat and eat and eat (no good). I think it’s a good idea to take out an appropriate snack portion and leave the bag in the kitchen. My number one snack rule (if I can even call it that) is to pair carbs protein and fat like you said above! It makes for a tastier snack and more satiety! If this is what you meant by sponsored posts being the wave of the future, it does not bode well for you or other bloggers that are following the same path. Apparently integrity has a price, and blogs that I might have thought had more substance and style (like yours) are now going to look and sound like everyone else. Just as the American landscape is changing, how you can travel from one town to the next and see the same strip malls and big box stores and never see any individuality or originality, so is the world of the healthy living blog becoming homogenized. The week that seemingly everyone in the blogosphere partnered up with Old Navy (a store I still love) I thought I would *scream* if I saw one more blogger talk about her free clothes that she got from Old Navy in exchange for a review. I realize that the comments and opinion of one person probably doesn’t amount to a hill of beans for you, but I just had to say that if this truly is the direction of your blog, then I am probably not going to read it anymore. I have enjoyed following you & Matt, your move to Charlottesville, and your new life as a mom, but this seemingly solely money-driven decision is a real turnoff. I wish you well, but I will not be surprised if your readership drops off. And I will not be surprised if this comment does not see the light of day, even though I am speaking from the heart here. Kath is an RD and I read this post with only that in mind. She has learned the proper knowledge to be able to post a great idea like this and I think that that is what healthy living blogs should be about. Why are you reading her blog than? She has made it very clear that she has a passion for healthy eating and this post and her success at becoming an RD does nothing but back that up. 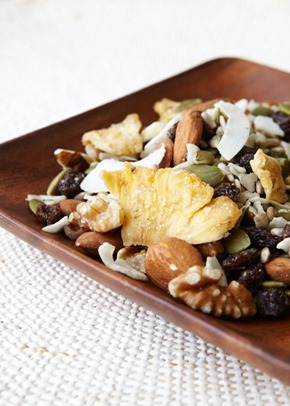 Look beyond the NatureBox wording at the bottom and notice the many references that she has made about snacks that actually come from the many great posts she has posted on this HEALTHY LIVING BLOG. I see what Patricia is saying. I’ve been a reader of KERF since 2008 but my own interest has dwindled since the new format and sponsored posts started happening. I still check in every now and again because I really like Kath and want to know how the KERF family is doing but these sponsored posts really really turn me off! Andrea- you are totally right that this post has information and Kath’s unique perspective, and draws on her rd experience. And yet, Kath links to anther snack post she did in just the last few months. And on top of that this is her second sponsored nature box post, on snacks. Three posts on snacks in as many months is just not useful, because it would be incredibly difficult for anyone to give new or different information. Kath has amaing potential to focus on different parts of snacking. Yet in this post when she advocates for both voluminous foods and very calorie dense foods (nuts and nut butters) I was left very, very confused. I cannot help but think some of the mixed messages and confusion come from a lack of focus on the long term; if there was instead a chain of three posts on snacking, instead of 3 nearly identical posts, that would have been far more streamlined. One could be on voluminous, low cal foods, one on high-calorie yet nutrient rich foods, and one on how to combine them effectively. Instead without that vision I am confused and left disappointed to read the same post for the third time without any clear voice or information. Brenda, all three of these posts have had very different purposes – 1) to show examples of real life snacks through photos 2) to share a new company and concept of natural snack options 3) to talk about the emotional and physical reasons we snack. Based on feedback I’ve gotten, I think they all served different helpful purposes to different people. I also think you misunderstood my use of volumetrics as an example. I do think it’s important to get some volume in there to distend the stomach and feel full, but that doesn’t mean restricting the more nutrient-dense foods. A bowl full of blueberries with a few nuts would be ideal for me. In fact sometimes when I just need a little something to tide me over, a few nuts is all it takes – they are surprisingly satisfying despite their low volume. When I need a bigger snack, I look for volume. Hope that helps clarify. I personally understand people have to make a living and a blog should only be for our entertainment/educational purposes so I’m just not that emotionally invested in the choices these people make. Everything we watch/read/do is sponsored by someone yet we still watch TV, read magazines, and attend events. Awesome tips! Your snacks always look so good and have inspired many of my snacks! I definitely notice that a combination of carbs, proteins, and fats work best. Great post! I think snacks should be considered a mini meal rather than an excuse to mindlessly grab stuff and eat. I like my afternoon snack to be no later than 3:30 to avoid spoiling dinner. They say hunger is the best seasoning for a meal. 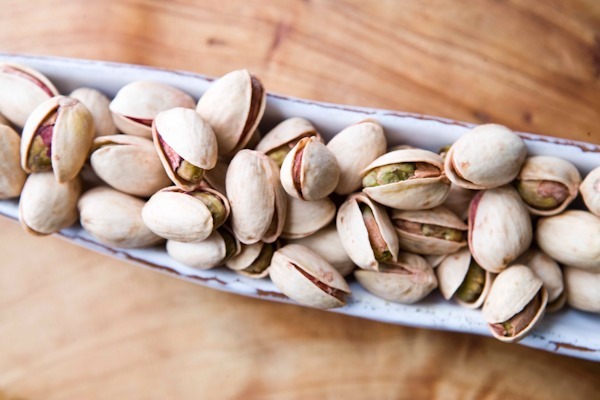 We love pistachio nuts however they are so expensive we rarely buy them anymore unless we can get a good deal on them which doesn’t happen as much as it used to. Long time reader, first time commenter here! I’ve been told I have to follow a high fiber diet and am doing OK with it, except for the between meal treats! Apples and fresh fruit can be great but I am craving something salty by late afternoon. Advice would be welcomed! what about whole grains? a half sandwich, small mug of oatmeal, cereal with yogurt? Eating a BALANCED snack is definitely key, otherwise you risk getting hungry an hour later, especially if you just eat carbohydrates! I really want to eat healthy snacks but I don’t have time to prepare real healthy snacks. I always end up on processed foods. I have to change my habit. Anyway, thanks for sharing! Love these tips! And I agree, an afternoon snack is always necessary 😉 I try to eat real, unprocessed food also because I find it far more satisfying. Thanks to your recommendation, I signed up for the monthly Nature Box. I LOVE their snacks! They just sent out my box for this month, can’t wait to get it. I liked getting their choice of snacks for the first few months, but changed over to choosing my snacks for this month. I get so excited when I see the box! I just signed up for the Nature Box. I look forward to seeing what snacks I get. Thanks for the discount! These are great snacking guidelines! I have to be very careful eating between meals because I have the tendency to #1 eat junk and #2 I have trouble stopping. I like the idea of seeing what nutrients are missing from your day as well as combining protein, carbs and fat in one (small) snack. Thanks for the ideas! I signed up for NatureBox several months ago & love them! Their snacks are tasty & it does help to have the healthy stuff on hand (so I don’t munch on the fiance’s potato chips instead). 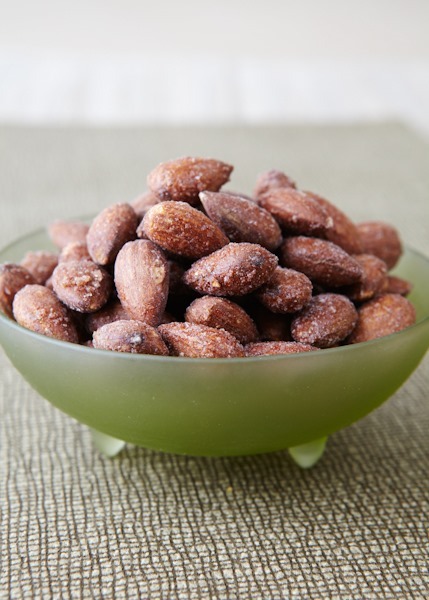 I am such a snacker and often rely on almonds and fruit to get me to the next meal, depending on how large the previous meal was! Making the shift to better snacks can be hard, but it is worth it nevertheless. I really love your website. As a Belgian dietitian it’s inspiring to read your posts!